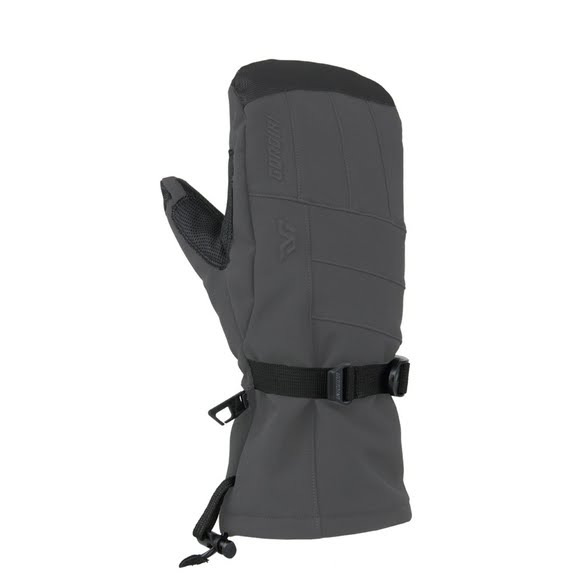 3 layer thermal ply waterproof, windproof, and breathable fabric combined with Megaloft® insulation, Aquabloc® inserts, and Hydrowick microdenier lining ensure your hands stay warm, dry, and comfortable when you wear your Gordini Men's Fall Line III Mittens. 3 layer thermal ply waterproof, windproof, and breathable fabric combined with Megaloft® insulation, Aquabloc® inserts, and Hydrowick microdenier lining ensure your hands stay warm, dry, and comfortable when you wear your Gordini Men&apos;s Fall Line III Mittens. MegaLoft® MegaLoft&apos;s synthetic fibers maintain their insulation value even when wet. Wicking, quick drying and compressible this a perfect insulation for winter mittens. Aquabloc® Aquabloc is Gordini&apos;s proprietary waterproof breathable windproof technology. Exclusively engineered for handwear, this is an insert technology that allows moisture accumulated from within the glove to escape and provide for breathability and enhanced warmth and comfort. The molecules of the insert are wide enough apart to allow moisture to escape, yet close enough together to guarantee that water will not penetrate the mittens. These inserts are seam sealed, so stitching from the gloves will not interfere with your Gordini mittens&apos; performance. Hydrowick Microdenier Lining Superior wicking fabric that moves perspiration and water vapor rapidly away from the skin to help manage moisture.